The Russian River Valley Winegrowers will celebrate the varietal that put the AVA on the map – Pinot Noir – May 24-25 during the Pinot Classic. This event will allow wine lovers to explore the range and diversity of RRV Pinot Noir over Memorial Day weekend with an educational seminar, a two-day wine tasting event and an exclusive dinner featuring Russian River Valley’s luminaries. The potential of the cool-climate-loving Pinot Noir in the Russian River Valley was first uncovered by growers like Joe Rochioli, and winemakers Davis Bynum, and Burt Williams and Ed Selyem of Williams Selyem. Since then, the RRV Pinot Noir has become legendary. 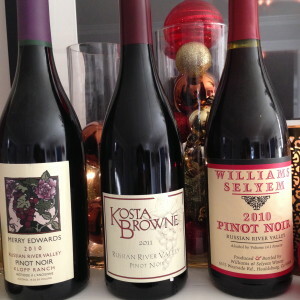 The Pinot Classic will be a great way to explore critically lauded Pinot Noirs that helped establish the AVA’s reputation – like those from Joseph Swan Vineyards and Merry Edwards Winery – as well as Pinot Noirs that continue to reinforce the reputation with innovative interpretations of the varietal, such as wines from Siduri. Neighborhoods of Russian River Seminar – The Pinot Classic weekend will begin 10 a.m. Saturday, May 24 with a seminar exploring three neighborhoods of the Russian River Valley AVA – the Middle Reach, Laguna Ridge (where Gantz Family Vineyards is located) and Green Valley. 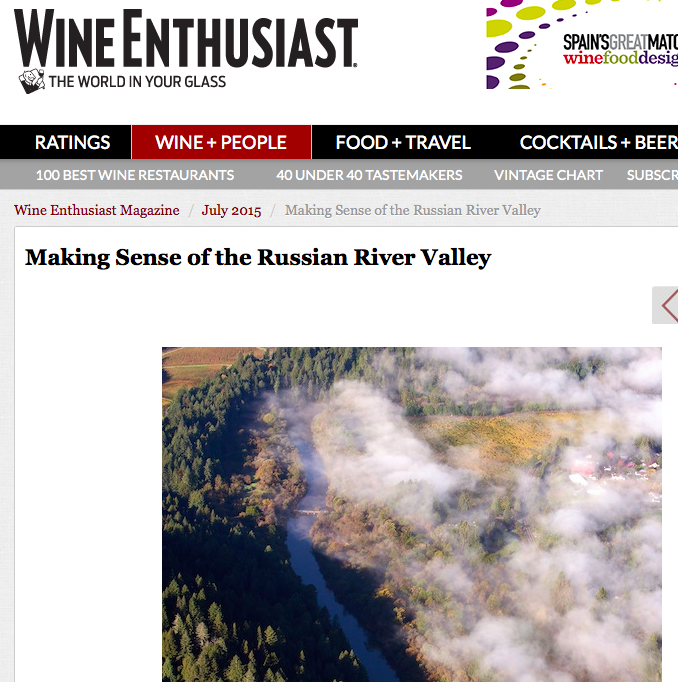 The Russian River Valley Winegrowers launched an initiative this year to explore the distinctiveness of RRV wines through the unique characteristics of its neighborhoods. Winegrowers will discuss the neighborhoods’ defining characteristics and present wines that express those characteristics. The seminar will be moderated by Steve Heimoff, a popular wine blogger and former Wine Enthusiast reviewer who wrote the book “A Wine Journey Along the Russian River.” Tickets are $20. Passport to Pinot – This two-day tasting event on Saturday and Sunday, May 24-25, will give participants a chance to taste for themselves the diversity in Russian River Valley Pinot Noirs. Over 30 wineries will be participating, offering barrel tastings of Pinot Noirs and other wines that capture the essence of their RRV neighborhood. The wineries also plan on creating unique experiences to further tell their distinctive stories, offering food pairings, vertical tastings, artists demonstrations, vineyard tours, entertainment and futures purchases. Tickets purchased before April 16 are $55. Pinot Classic Paulée Dinner – This exclusive dinner event – tickets cost $250 – is a nod to a French tradition of winegrowers enjoying a meal and their best wines together after harvest. The Pinot Classic Paulée Dinner will coax the Russian River Valley’s best winemakers – including those from Kosta Browne Winery, Williams Selyem and Arista Winery -- to bring wines from deep in their cellars to this event at DeLoach Vineyards at 6 p.m., Saturday, May 24. Only 100 tickets are available.